1M SEO backlinks for website to rank in google search engine in first page. I am an Expert in Digital Marketing and have +5 years of past experiences on Digital Marketing. 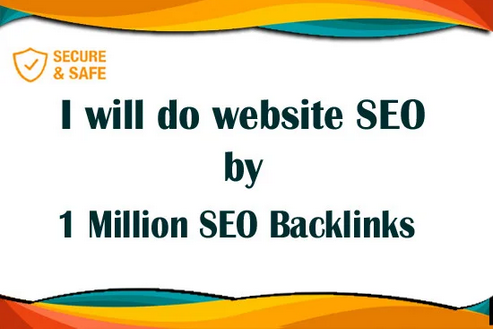 I can help you to promote your Business Websites By Creating +1Million SEO Backlinks. It will help you to get your site popular in your targeted places. Website Promotion on any targeted Country Trends. Bitcoin site and referral links prom0tion to bring sign up. Note: Have any question about my service, just message me before place order?